With over one billion users, it’s fair to say that your target market can be found on YouTube. While you can use organic methods to reach your target audience on the platform, you might not have the time or patience to do so. 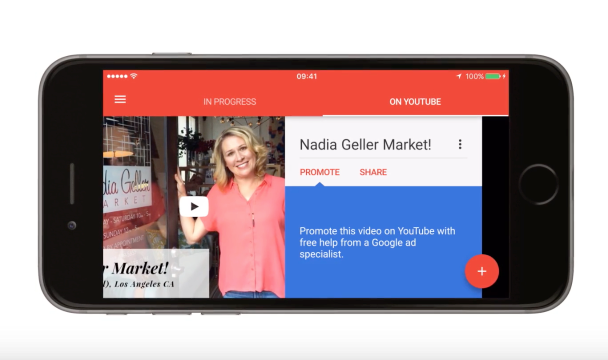 As a result, you might be interested in how you can use YouTube Ads, to shortcut the process of engaging with potential customers while they’re using YouTube. In this guide, we’re going to examine the steps that you need to take if you want to get great results from running some YouTube Ads of your own. We’ll go through each of the steps required when creating ads, and what precautions you need to take so that you don’t make any common errors. By the end of this guide, you’ll understand the types of Youtube Ads, how YouTube Advertising works, and exactly what you need to do, in order to benefit. YouTube Advertising is constantly evolving, and so it’s worth mentioning that what you’re going to read about in this guide, might change in the near future. That being said, formats and advertising principles generally stay the same, and it’s really only been the names of the ad products that have changed in recent times. Note: For the sake of this guide, we’re just going to focus on the actual ‘Video’ ad formats within YouTube. We’ll touch more on this later, but when running a campaign on YouTube, you can, in fact, run ‘Shopping’ Ads and ‘App Install’ ads. Covering all formats would make this guide a bit too overwhelming and monstrous, so for now, we’ll just focus on video. Okay, so that being said – what ad formats are open to you when it comes to running video ads? 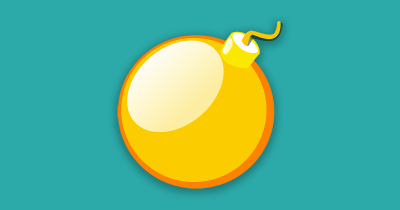 Instream Ads are ads that will appear before, during or after a video. With this ad format, viewers are able to skip the ad after five seconds. This is the ad format you’re probably most familiar with. Bumper Ads are ads that are six seconds or less. Those who view this ad format aren’t given the option to skip. This ad format is generally designed to help companies raise brand awareness and are a relatively new ad format on the platform, in relation to small business use. 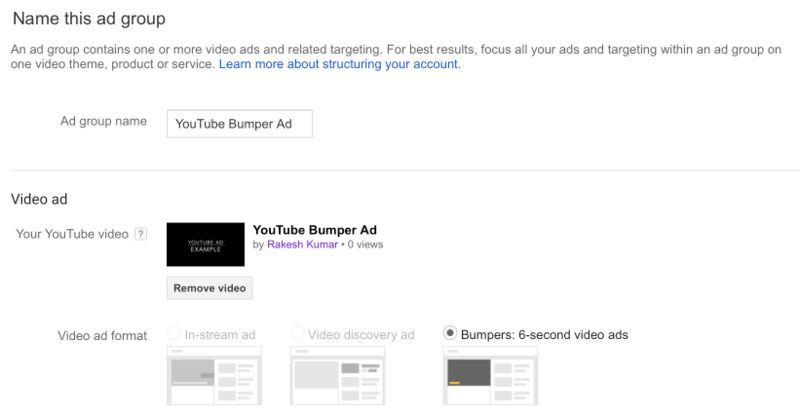 Video Discovery Ads are ads that will appear in the YouTube Search results, next to related videos and on the homepage. When running Video Discovery campaigns you can, in essence, isolate your approach so that you only have ads shown in search listings. Isolating your approach can be quite useful if you know what keywords you want to target within the search listings, especially if you’re already having some success with certain keywords on Google Search. Of course, if you don’t have such information then you’ll need to do some research ahead of time, so that you do in fact know which keywords will produce the best results. Keep in mind, that you can also isolate your Video Discovery Ad campaigns the other way around, so that your ads only appear in the ‘related’ video sections. So those are the three main ad formats for video ads on YouTube. Understanding your options, allows for you to better plan your marketing approach, as different ad formats will help you achieve different things. Another thing you’ll want to understand ahead of time, is who your target audience is. Advertising obviously costs money, and you don’t want to waste ad spend by showing your ads to the wrong people. It helps, therefore, to take some time out and craft something known as a Buyer Persona. A Buyer Persona is designed to help you list out the traits, characteristics and demographics of your ideal customer. You can then use this information to improve your ad targeting. In addition to the details that have been shown above, you might also want to add a few other bits of data. That’s because when you’re targeting your ads on YouTube, you’re essentially targeting people based on the videos that they’re watching (provided you’re not using more advanced targeting methods – something we’ll touch on later). As you’re targeting people based on the videos that they’re watching, it helps to sit down and think about the kinds of videos that your target audience will watch. What topics are they most interested in? Are there any major influencers or brands that will create the videos your target audience will watch? What kind of Channels will they be subscribed to on YouTube? What do they type in when looking for videos of interest? What keywords tend to appear on the page when they’re watching such videos? When answering these questions, don’t just think about things in a professional context. For instance, if you’re trying to target 30 to 40 year-old Nurses, you don’t just have to show ads on videos related to medical issues/nurse training. You might also want to consider showing ads on videos that have nothing to do with Nursing. Provided that you target effectively, so that there is an overlap in terms of the age group and profession, and any other parameters that might matter, it’s worthwhile using these unusual targeting angles. So how do you figure out the unusual targeting angles that are open to you? You can use data from other social networks. For example, I can use the Audience Insights tool provided by Facebook, in order to learn more about the broad range of interests my target audience might have. Let’s say I want to gather data, that will allow me to effectively target my YouTube ads towards people are who are aged 30-40 years old, work in Nursing, are university educated and are based in the U.K. I can type in those parameters into the Audience Insights tool, to learn about this audience in particular. Keep in mind, that at times, Audience Insights doesn’t really give you too much precision when targeting occupations, when compared to what’s on offer when targeting Facebook ads. For example, though I can target the ‘Nurse’ job title, I can’t target Dentists. When that happens, you need be creative and use the ‘Interests’ section instead of the ‘Job title’ option. In any case, upon entering the above information, I can then see some data based on this audience. 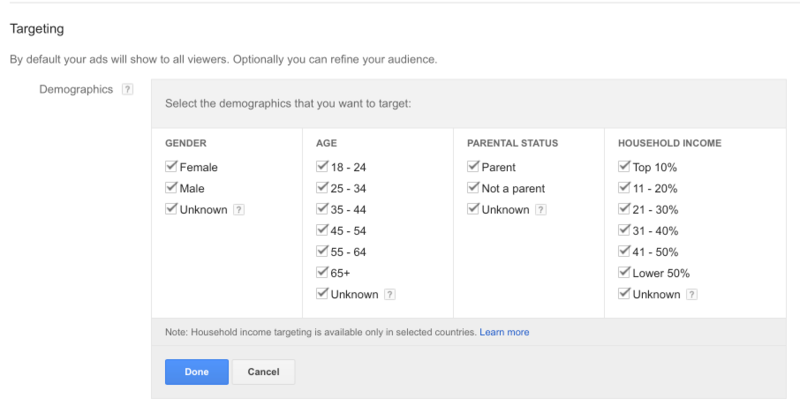 I can see the ‘Age and Gender’ distribution – data that can be used to better segment my ads on YouTube. I can also see the relationship statuses of my chosen audience too. 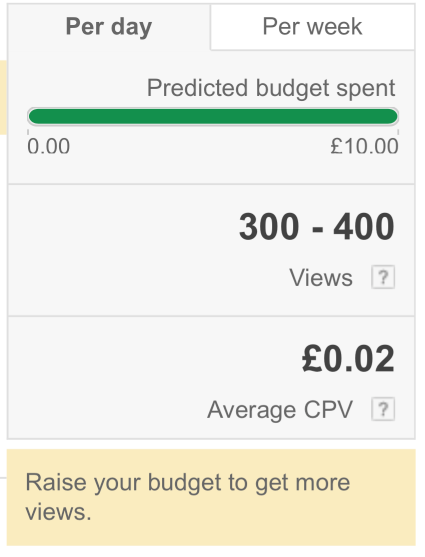 Again, this data can also help me to better target my ads when using YouTube Advertising. If you look below, you’ll see some of the top ‘Page Likes’ amongst this audience. I can target these ‘interests’ on YouTube in order to reach my target audience. I could target clips from the TV Shows mentioned, or I could target the Comedian mentioned. I could even target music videos by the bands that have been listed. We’ll touch on this more later, but as long as I overlap different targeting methods, I’ll be able to target relatively broad, but relevant interests, whilst still ensuring my ads are shown to an audience that will find my ads useful. 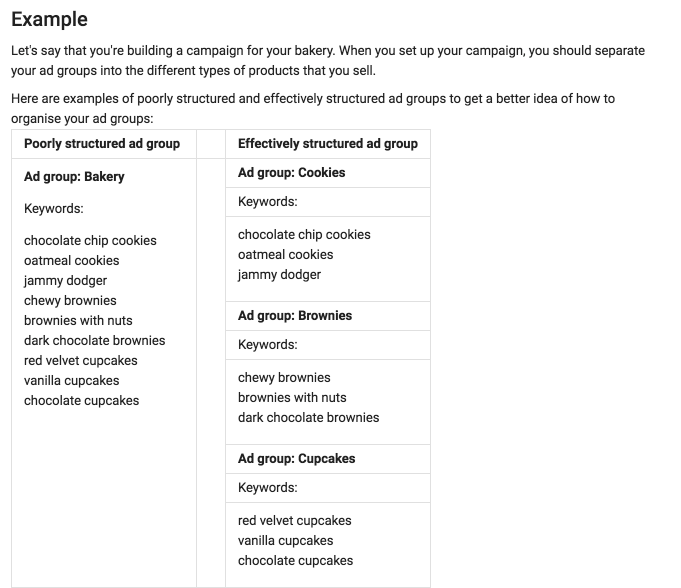 Okay, so we’ve covered the different ad formats, and how you can better target your ads by understanding your target audience better. Now let’s quickly talk about the videos you should use for your ads. Arguably the most common thing that stops people from running YouTube ads, is the fact that they have to create a video for the ad itself. Now, the videos you create for your ad must be engaging – or else your results will be poor. But that doesn’t mean your ads should be super complicated to create as creating engaging video ads is a lot easier than you might think. The talking head format, is fairly self-explanatory. This kind of ad format just involves you or someone else speaking into the camera. The camera can capture just above your shoulders or your whole body. Don’t overcomplicate this. Most smartphones have amazing cameras nowadays and you can achieve a lot by shooting a talking head video from your phone. This ad format can work well, if you’re trying to promote a case study, or showcase a testimonial from a customer who has had a positive experience with you in the past. The next format is the animation format. This format can cost a lot of money, as you’ll need to get some professionals on board to create an animation for you. If you have the budget to do so, consider hiring a freelancer on Upwork. Be careful though, as you’ll probably get what you pay for. You can also create a Slideshow. Slideshows might not work as well as the other groups of ads, as they’re typically not as engaging, but it will depend on your market and your approach. Here you’re just showing some text on a screen, and then providing backstory behind the text. The next ad format you can work with is the product demonstration ad. This can be a very effective approach to use for your ads. If you have a product that is designed to help your customers achieve a specific result, what better way to convince them of what is possible, than by demonstrating your product in action? This method works well for physical products, but also software too. Lastly, you can use the ‘Story’ format. This form of advertising is a little different from everything else we’ve covered, and you may use this approach for brand awareness, more than generating leads. This video from Adidas showcases how you can show the story behind a product. It is not being used as an ad, but it does help demonstrate the points mentioned. In most cases, the most important thing that matters for your video, is the script you’re using. You need to be able to convince someone that what you have, is worth sticking around for. People have the option to click on the ‘Skip Ad’ button and it is up to you to show them something or say something that will make them reconsider. Now, if your ad targeting is up to scratch, there is less pressure on you to have a stellar script. But you shouldn’t let that affect your attention to detail. The most basic script you can create would simply require for you to do the following – let people know what you have, let them know why it matters and then let them know how they can learn more (meaning what they need to do next to benefit). If you want people to stick around, then consider stating a benefit right away, that helps build curiosity. For instance, imagine you’re selling a weight training course. Stating how you managed to help someone lift ‘X more pounds in only X days,’ right at the beginning of a video ad, is going to catch the attention of someone interested in bodybuilding. They’ll want to stick around till the end to learn more about how the result was achieved. There’s a good chance that you use YouTube a lot, and so you probably see a lot of video ads. If there are any ads that make you watch for longer than five seconds, ask yourself what it was about the ad that caused you to stick around. If you do this consistently, you’ll soon begin to appreciate what separates the good ads from the bad. It’s also worth mentioning that YouTube provides a helping hand to businesses who want to advertise on the platform. YouTube has two solutions that you can take advantage of right now. 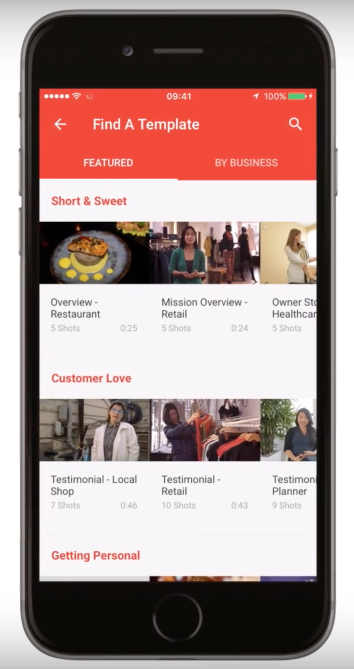 The first, is known as the Director App – an app which is designed to help you create a video ad using just your phone. The app will walk you through the process of creating a YouTube Ad, making the whole process much easier. One of the ways it does this by providing you with some templates, so that your ad has some focus. 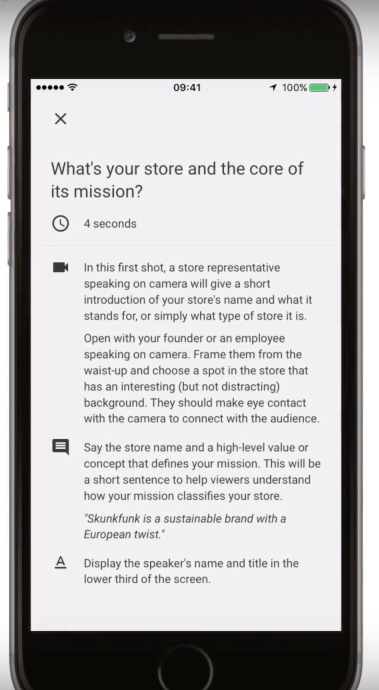 When you’ve selected a template, the app will take you through a process that helps you figure out what you need to say, when you need to say it, and how you need to record your video so that your ad is produced to a high standard. You can then upload your ads directly from your phone, and even promote them from your phone too. It’s recommended, though, that you only use your phone to upload your videos, but not to create your ads. Creating your ads on a desktop device, is preferred, as doing so will give you more control over the process. 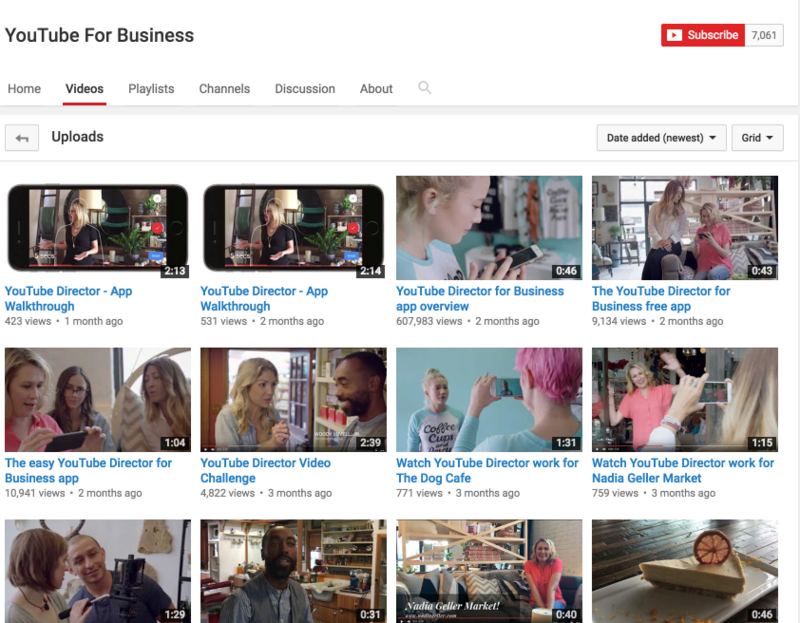 If you want to take a peek at examples of ads created using the Director App, you can visit the YouTube for Business channel. The other option open to you is the ‘Youtube Director onsite’ option. This is where YouTube will send out a professional filmmaker to work with you, in order to create a great ad. 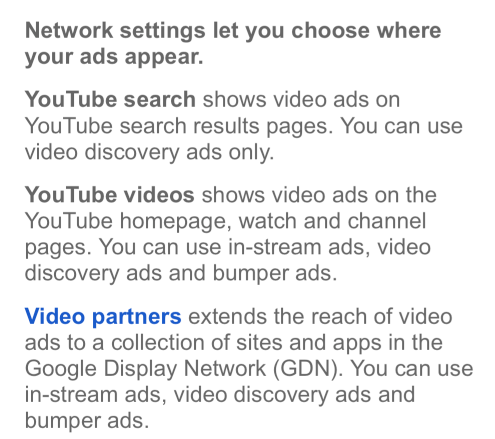 You can use this option once you have spent over $150 on running ads on YouTube, or around £350 in the UK. This is a relatively new option and it is only open to select locations in the U.S and the U.K.
You can find out if you’re in an eligible location by visiting https://director.youtube.com/onsite/. 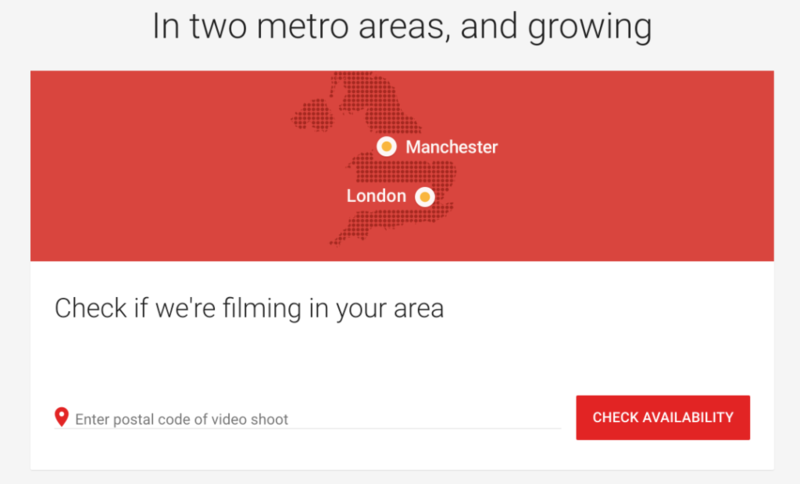 If you’re in the right area, and you’re really lacking confidence when it comes to creating your video ads, then this option might be worth a shot. Now let’s talk about setting up your YouTube Ads. Then select the ‘Video’ option. Note: To begin with, we’re going to take a look at the process of creating Video Discovery Ads. 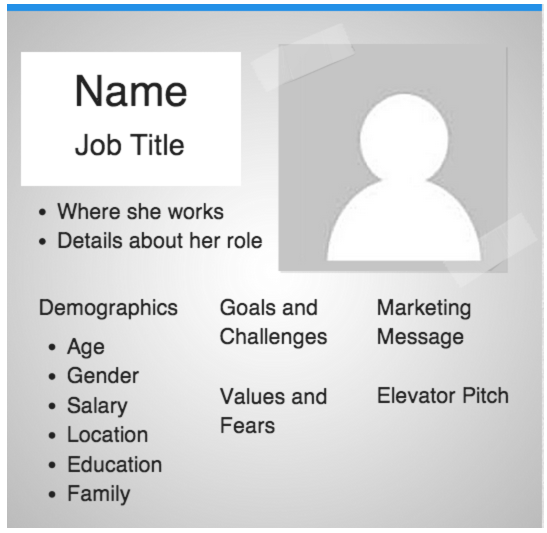 Give your campaign a name that will make it easy to identify and make sure that the ‘Standard’ option is selected. Next you need to decide on your Budget. The daily budget does matter, however. This is what you’re prepared to spend daily on your ads. You don’t have to pick a big figure here, and it is actually better that you start small, so that you can get a sense of how the platform works, before you spend big. What you pick will depend on what your campaign goals are and where you want your ads to appear. If you’re looking to run a Video Discovery campaign, in which your ads appear solely in the YouTube Search results, then select the YouTube Search option. However, if you want your Video Discovery Ads to appear on the homepage, watch and channel pages only, then use the YouTube Videos option. Here’s a quick explanation from Google to help provide a little more clarity on the above. It is best that you don’t mix different networks when running campaigns. For instance, If you’re looking to run Video Discovery Ads, and you want to benefit from them appearing in the search results, then it is advisable to just start out with the Youtube Search network. That is because you’ll be afforded more control if you use this option. More of your budget will be spent within the search results, helping you obtain greater amounts of data in less time. You can then use this data to better optimize your YouTube search campaigns so that you can better appreciate what does and doesn’t work for this network in particular. Then when you launch future YouTube search campaigns, you’ll be armed with the ability to make better decisions, increasing the odds of your ads generating an ROI. 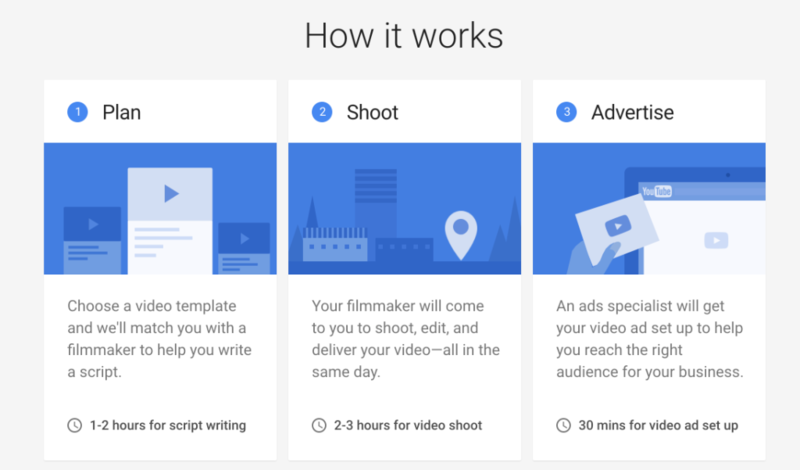 However, if you pick the YouTube Video Network, your budget is spread out and you now have to monitor the performance of three different ad locations, making it harder to draw insights – especially if you’re a beginner to YouTube Ads. Point being, only pick one network at a time, no matter your ad approach. The ‘Devices’ section gives you the chance to tinker with some interesting settings. Most people don’t have generous data plans, and so they’re not going to be watching YouTube whilst they’re out and about. Plus, even if they do, they’ll definitely want to skip ads out of fear of the ads eating up their data allowance. It’s therefore a good idea to only target devices on WiFi. 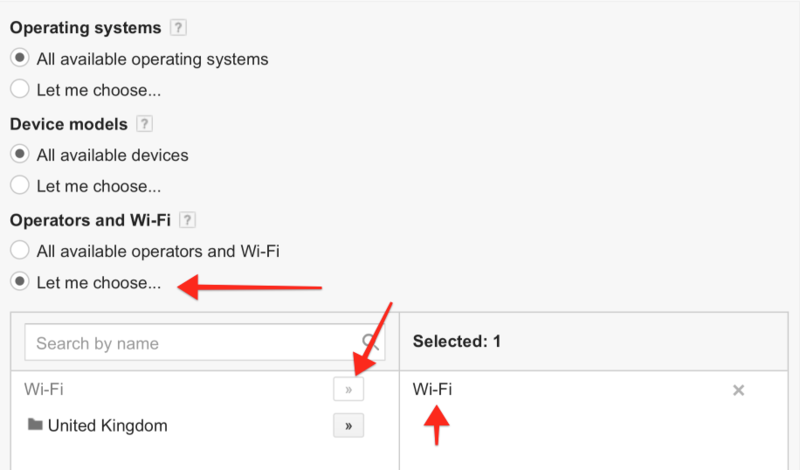 To do that, expand the Devices section and then select ‘Let me choose’ under the ‘Operators and Wi-Fi’ area. You can’t really decide if you want your ads to show exclusively on mobile devices or on desktop devices. If you set ‘Mobile bid adj.’ to ‘Decrease’ by 100% then your budget will not be spent advertising on mobile devices. As you can see the bid for a mobile device is now GBP 0.00. Sometimes this feature can be a little temperamental, but for the most part, it works well when you’re trying to segment your ad spend across different devices. Note: If you want to do this the other way around, and have your ads appear only on mobile devices, just do the same, but in the Computer section. You can ignore the rest of the advanced features, as everything we’ve covered should be enough to get you going. Click on ‘Save and Continue’ to move onto the next section. In this section, you need to select the video that you want to advertise. In order to do this you need to make sure your video is uploaded to YouTube. You then need to copy and paste the URL of the said YouTube Video. You’ll then get the chance to pick a thumbnail for your video ad, as well as the copy for your ad. There are two approaches you can take here, in relation to the copy. The first, is to keep it simple, and use a keyword that someone might type in when searching YouTube. So if I’m trying to sell a ‘nurse training course,’ I might just type in ‘Nurse training course.’ Then my ad will look like the number one search result, and will also seem relevant – this will encourage people to click. Or I could write my ad headline as though I am writing a blog post or landing page headline. That means I could lead with something benefit rich, that sells the offer that the video is advertising. When it comes to the description, it is a good idea to keep things simple. Just let people know what you have to offer and what they need to do next. Thumbnails can have a big impact on how well your ad performs. Try picking a thumbnail that includes a face or some bright colors, as this will draw attention. Thumbnails which show an image related to the search term also do well. You might also notice that there is a section which asks you what you want the ‘landing page’ to be. What you pick here, will depend on the purposes of your video. If your video is designed to sell people, by educating them or otherwise, then it can be a good idea to send them to the video page, so that they can watch the video and learn more about what you have to offer. Here you get to decide what you’re going to be paying, per ‘view’ of your ad. What you pay here, is going to vary, depending on what your targeting options are. There is an option to adjust your bid for ‘popular videos.’ Whilst a useful feature, this matters less if you’re advertising in the search results. Now let’s touch on targeting. When running a YouTube Search Network campaign, it’s a good idea to target your ads based on keywords. Note: If you want to run YouTube Video ads in the ‘related section’ and not in the ‘search results,’ the Placements feature can be very useful. By selecting Placements you can have your Video ad show next to the kinds of videos that your audience normally watches. We will examine Placements further on in the guide. Custom Affinity targeting (something we’ll explore in great detail later) can also work well for getting your videos to appear next to the ‘right’ videos. 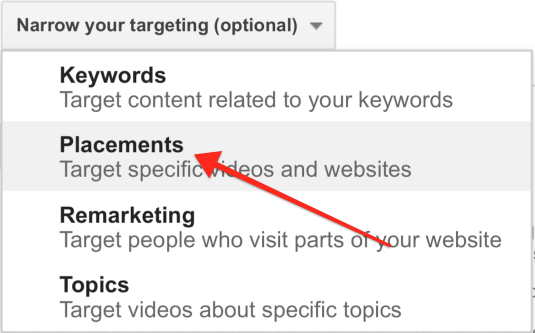 In any case, for YouTube Search Ads, you can set up Keyword targeting by selecting ‘Keywords’ from the ‘Narrow your targeting(optional)’ drop down menu. You’ll then be given the chance to input some keywords. 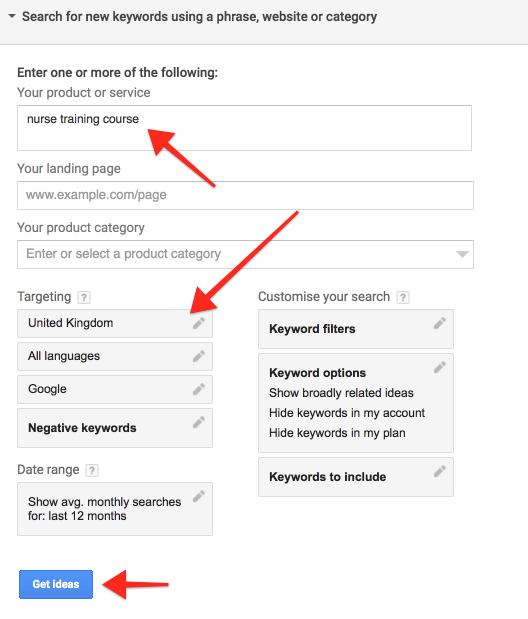 However, how do you know which keywords you should be targeting? Ideally, if you know your niche well, then it shouldn’t be too hard to come up with some keywords. 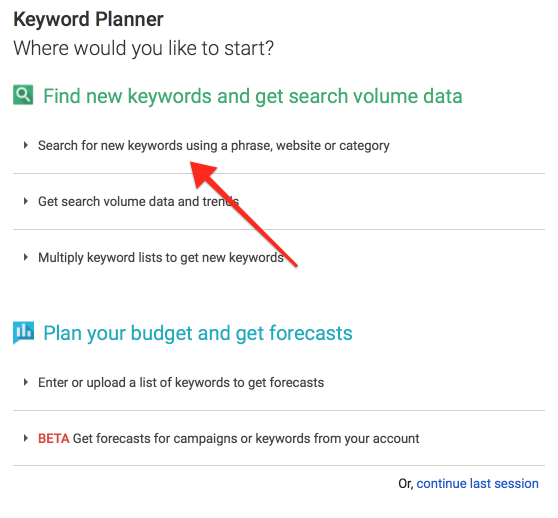 However, if you’re at a loss, you can use the Keyword Planner, of which is provided by Google AdWords. 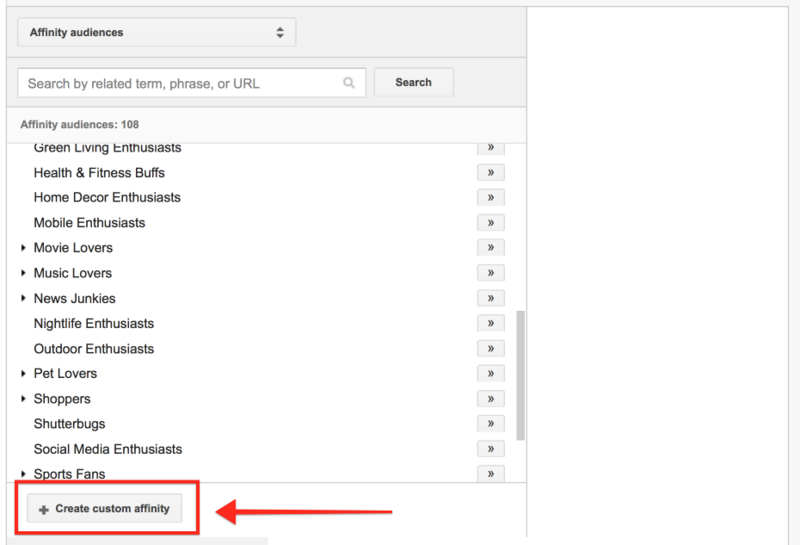 Note: Keep in mind that you’re not able to have ‘exact match’ keywords when targeting keywords on YouTube. Instead Google will do something known as ‘Contextual targeting’ and essentially create a theme related to the keywords provided. Therefore, if you want greater control over what keywords cause your ads to trigger, keep your keyword selection tight, and create separate ad groups for different keyword groups/themes. This is why it can be a good idea to note down the Ad groups suggested by the tool. 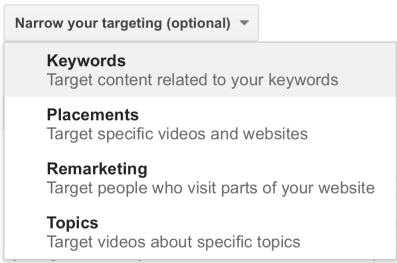 Here’s a great explanation from Google, in terms of how to group keywords so that targeting is relevant. 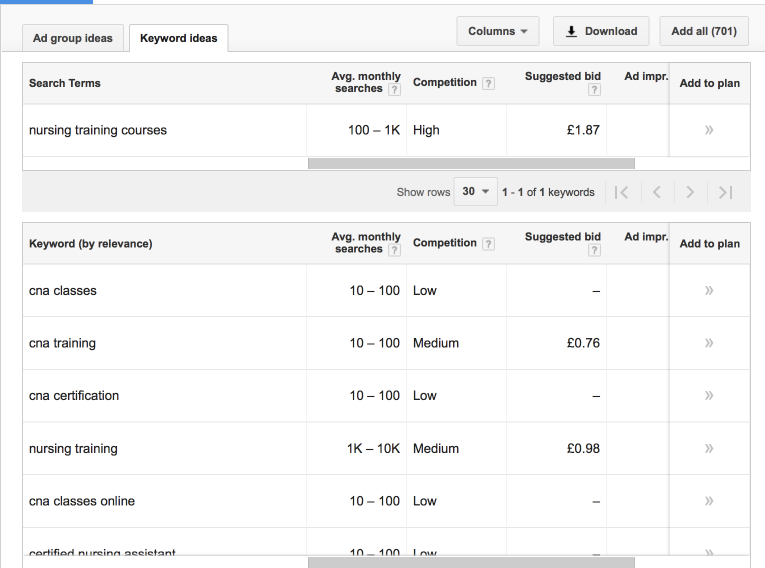 So, keeping that in mind, let’s take a look at how you can use the Keyword Planner. Then enter in a broad term related to what you want to advertise/your niche. For the sake of this section, I’m assuming that I’m trying to promote a nurse training course. Therefore I type in ‘nurse training course’ in the first dialog box. It also helps to make sure that you pick the right location. Finally, click on ‘Get ideas’ when done. Upon doing so, a list of Ad groups will be presented. These Ad groups suggest topics, related to the keyword I have just entered. It’s worth noting down these topics because they provide me with themes. 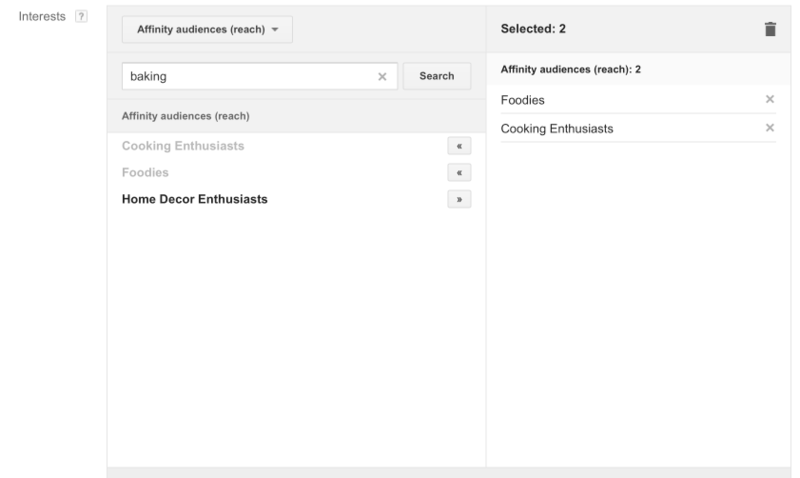 As mentioned, when targeting YouTube Search ads via Keywords you’re essentially targeting by themes, and the more related your keywords are to each other the tighter your themes will be. In any case review the keywords and Ad Groups provided, and then click the ‘double arrow’ button if you see any you like. When you do that, the keywords will be saved. You can then save them in an Excel or notepad, by clicking on the ‘copy and paste’ button. You can also find keywords by using the search bar within Youtube. As you can see, if I type in ‘Nurse training,’ I am presented with keywords that my target market is typing in, of which are related to my initial phrase. 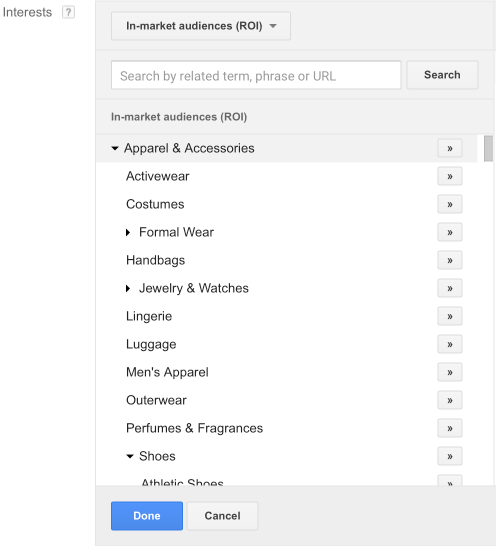 By viewing each of these keywords as themes, I can create ad groups around different keywords. 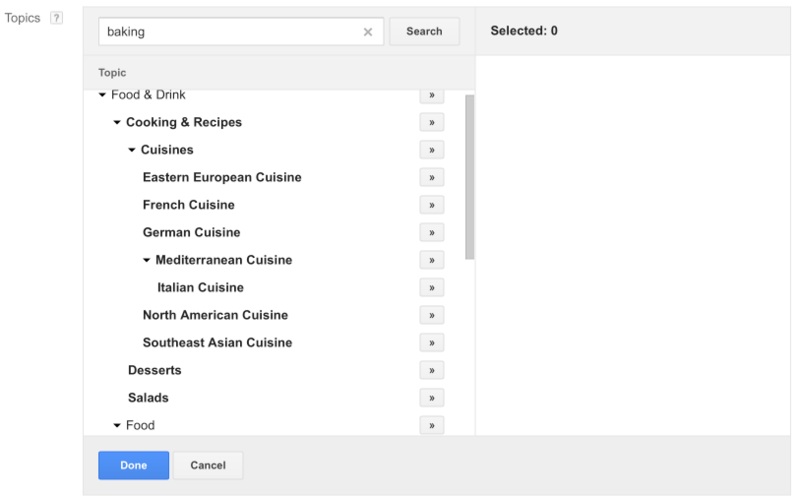 One potential way of creating a ‘themed group of keywords’ is by continually selecting different iterations of a keyword, from within the search bar. 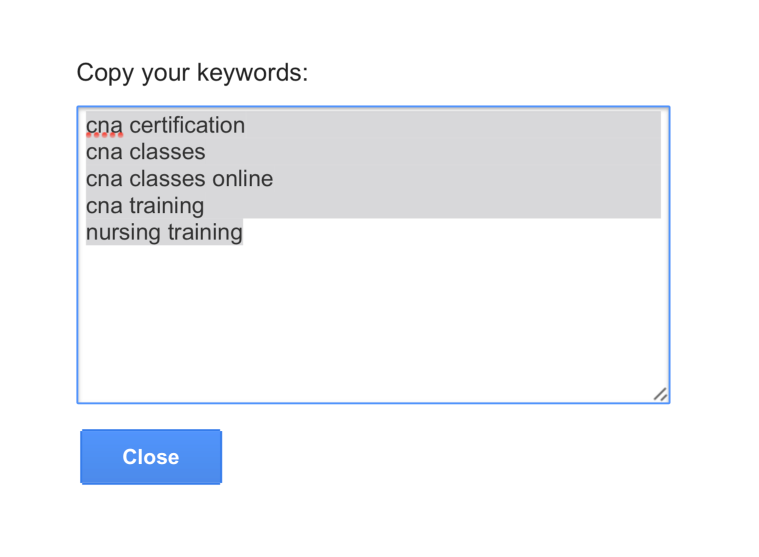 For instance, if I first type in ‘cna training’ (a form of nurse training) I can then select ‘cna training skills’ to see other keywords related to that keyword. I can then work with these keywords to help create a group of keywords that are closely related. 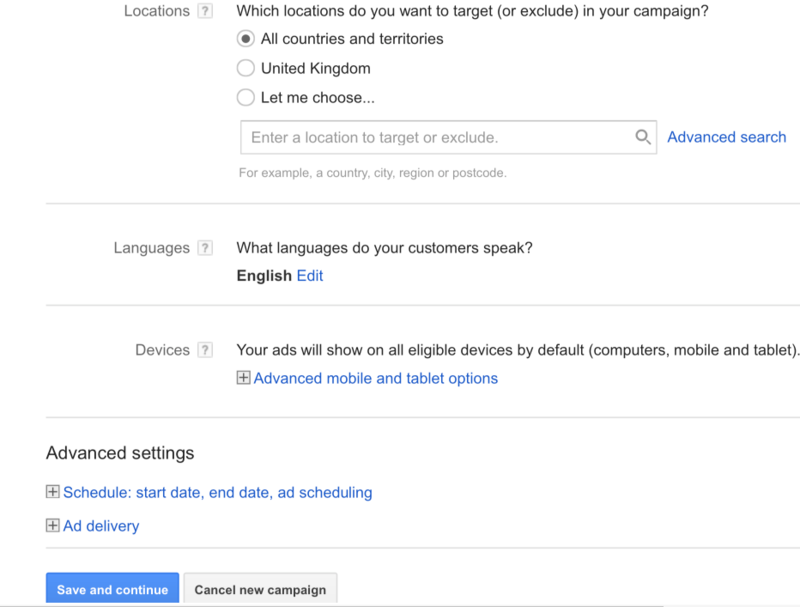 Then all you have to do is wait for AdWords to approve your ad, and it will start running shortly. Note: There is a great deal of similarity in some sections, when it comes to creating the other ad formats. Therefore we won’t go into as much detail as we did when covering the above. If something is a little unclear, please refer back to this initial section. Now let’s take a look at how you can create Youtube Video Ads. Give your campaign a name that will allow for you to easily figure out what kind of ad format you’re using. Also, as before, make sure you select the ‘Standard’ option. Select the ‘In-stream or video discovery ads’ option in the ‘Video ad formats’ area. Then pick a budget that you’re comfortable with. 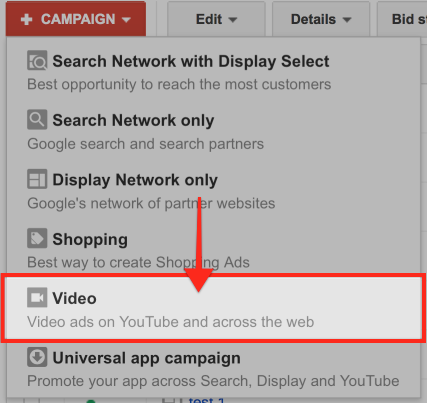 Make sure that you do not select the ‘Video partners on the Display Network’ as this will make it so that your ads show on sites, other than YouTube. For the rest of the settings, you can just follow what we covered earlier. 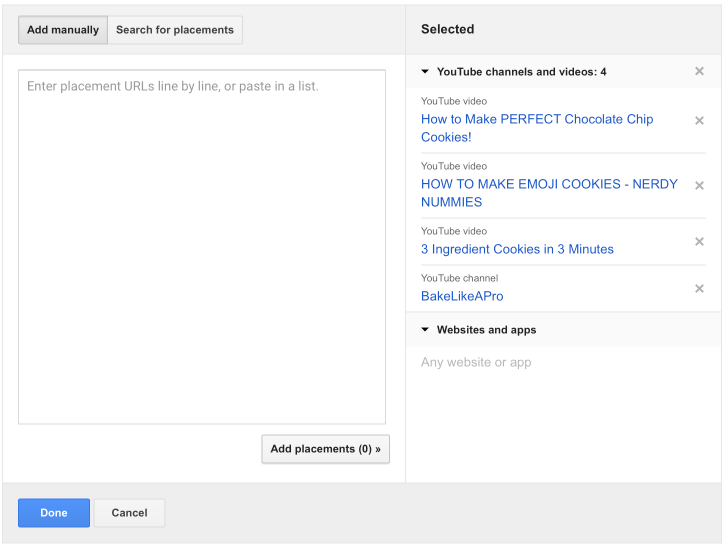 In the next section, give your Ad group a name, and paste in the YouTube URL of your Video ad. If you scroll down, you’ll now be able to see a preview of sorts, in terms of what your ad will look like when it is running. In this, section, you need to provide a ‘Display URL’ and a ‘Final URL’ for your ad. The Display URL is simply what people see on your ad and is mainly for vanity purposes – so you can just keep it basic. The Final URL, however, is the website that people will be taken to, if they take action and click on your ad. A Companion banner is a banner that will appear alongside a video ad. You can have Google create one for you, or you can create on yourself. It’s worth taking the time to create one yourself, as you may be able to do a better job at creating something that encourages action. Creating effective banners is a blog post, in and of itself, but if you want to create an effective banner, think about including the benefit proposition related to your ad within your banner. Make sure your text contrasts with the background of the banner, so that your image is eye-catching. Give your ad a name so that you can easily identify the purpose of the ad later on. This will help you make better decisions, if you’re reviewing ad data in the name of optimization. 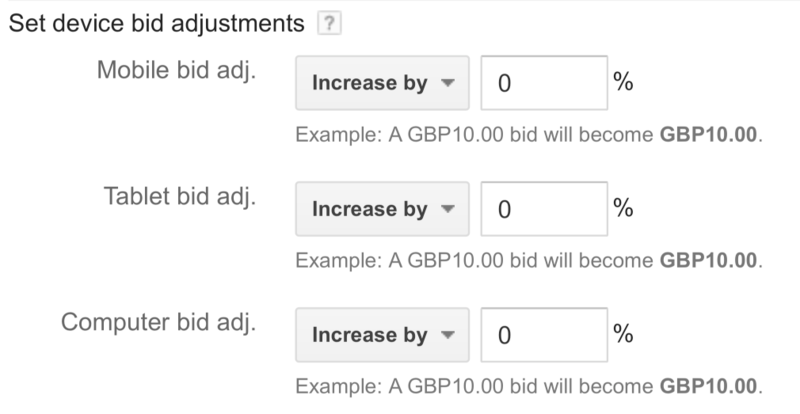 You then need to adjust the ‘Bidding’ for your ad. 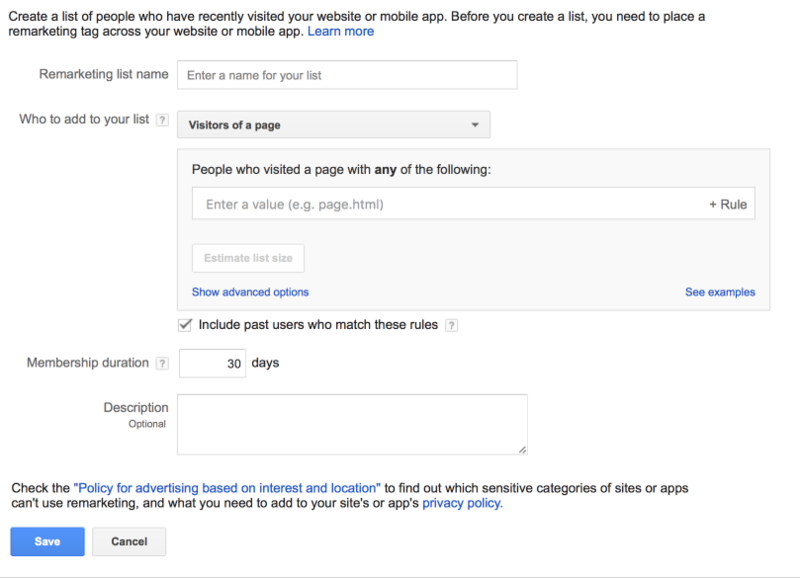 Ideally, you’ll want to come back to this section after you’ve set up the targeting for your ad. That is because the targeting settings can affect the suggested bids you should be going after. Let’s take a look at targeting methods you can use for your YouTube Video Ads. 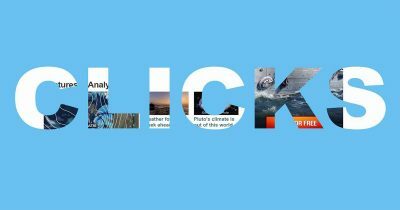 Okay, so there are a couple of clever tricks that you can use in order to target YouTube Video Ads tightly, so that they appear on relevant videos. Relevance is key, as this will ensure that your videos are being shown the right audience, increasing the odds that your Video ad generates an ROI. One trick is to target the videos that people will view, after searching for a popular keyword related to your niche. You can do this using ‘Placement’ targeting. People who want to learn about baking cookies (and therefore might be interested in buying my product) are probably watching videos that help them learn how to bake cookies. 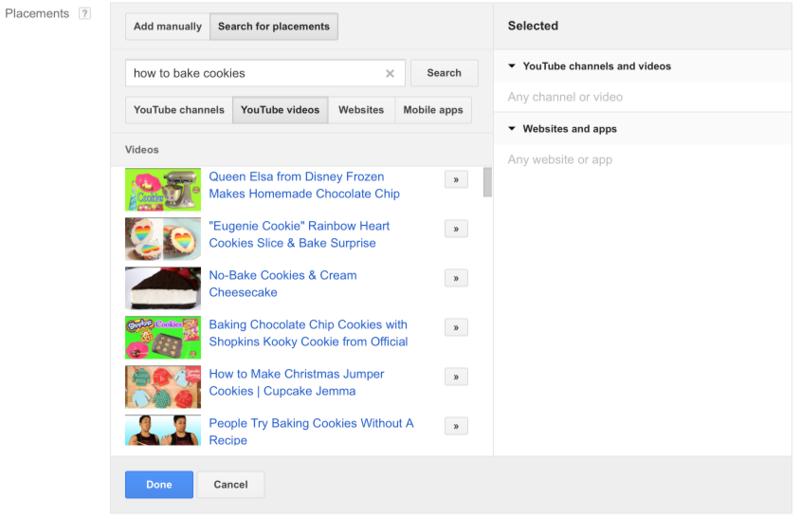 So if I want to do some effective Placement targeting, I first need to find popular videos related to baking cookies. 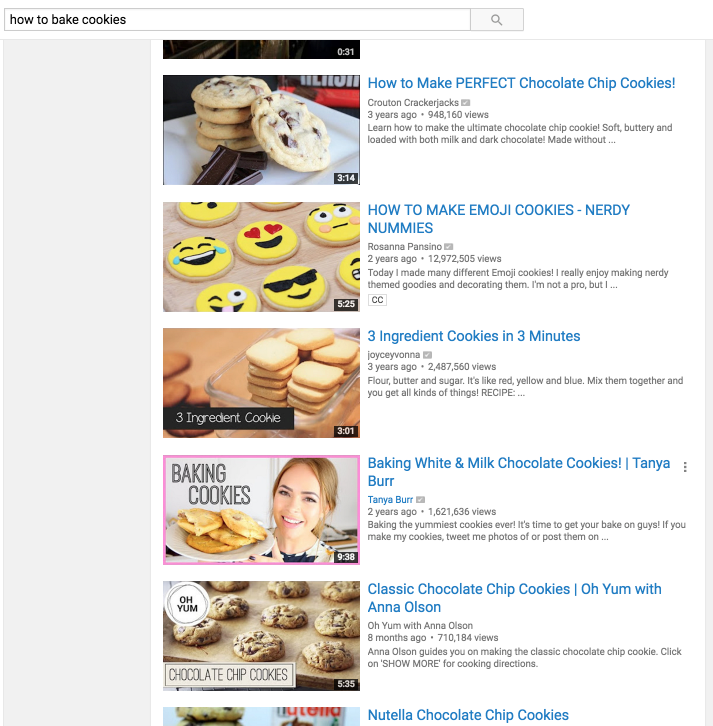 So, I go to YouTube and type in ‘how to bake cookies,’ which arguably is what most people will type into YouTube, in order to learn about baking cookies. Upon doing so, I’m presented with a bunch of videos that are related to baking cookies. All of these are highly relevant for anyone who wants to bake cookies or at least learn more about the topic– so I’m off to a good start. It might also be a good idea to filter the search results by ‘Channel’ too. By targeting a Channel, I’m essentially able to uncover, and subsequently target, a whole bunch of videos that share a similar theme to what I’m trying to promote. Because the channels tend to produce content that is very similar, and hence targeting by channel, will still ensure that the audience is related targeted. For instance, an audience that is interested in learning how to bake cakes, might still be interested in learning how to bake cookies. In any case, now all I need to do is note down the URL of my selected videos and Channels, so that I can later target them. So just simply click on them, and then save the URL in spreadsheet, notepad or anything similar. Note: Not all videos and Channels will have monetization enabled. 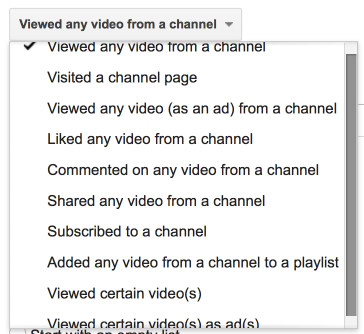 This means that some videos/Channels will not have adjusted their settings so that they can show ads. Therefore even if you enter in the URL of these videos and Channels into AdWords, you won’t be able to show ads on them. Most of the time you’ll be able to tell if this is the case, whenever you click on a video to get the URL. 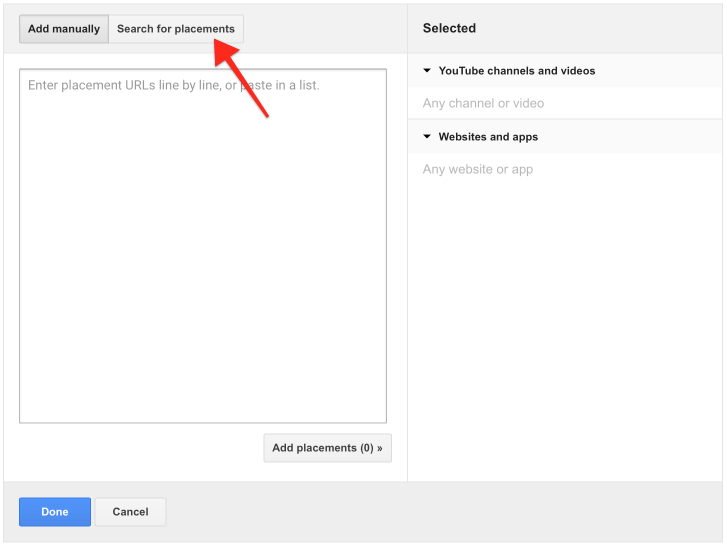 Nevertheless, now that you have the URLs, you can go back to AdWords and enter them in the Placements section. Then select ‘Placements’ from the drop down menu. When you click on the Placements option, you’ll notice that there is an option to ‘Search for Placements’ within this section. Whilst this option can be useful, it won’t necessarily give you a good sense of the top videos people will see after typing in a given search term. Of course, you’re free to experiment with this feature and check it out for yourself. As I’m adding Placements manually, I need to copy and paste them into the ‘Add manually’ section. Upon pasting them in, I need to click ‘Add placements’ to make sure I’m targeting them. I can now see that the ‘Typical’ bid range has changed. For the most part, you might want to go start with the lower end of the Typical bid range,’ so that you can get a sense of how the platform works. You can then later gradually raise your bid, in so that your ads achieve more impressions. To make sure that you’re not just displaying ads on the less popular videos, it can be a good idea to use the ‘Popular videos bid adjustment’ feature. I’ve set this to be at 50%, but it could be a good idea to adjust this figure, so that it will be one penny higher than the highest Typical bid figure. So if I’m bidding £0.05 and the top Typical figure £0.12, I might for a 160% increase, so that I can hit £0.13. I would then review my ads performance after a couple of days to check if this is working out. If the ‘popular videos’ are, in fact, producing good results I then that its’ worth paying more for these videos. If you’re worried about spending too much remember, that you set a daily budget. Your spend will not go above your daily budget. Note: If you really want to isolate targeting data, you might want to create separate ad campaigns for different placements. 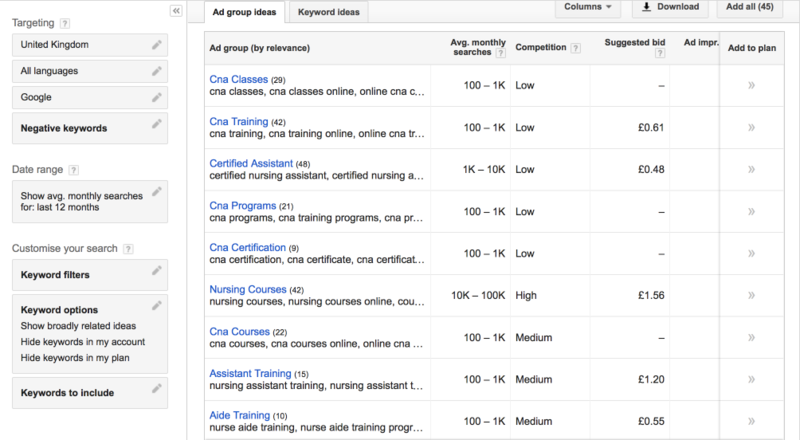 This will make it even easier to see which placements are driving the best results and at what cost. 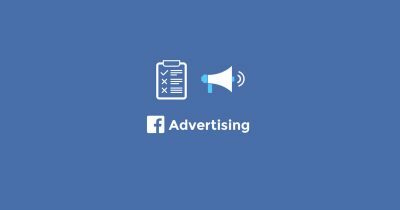 As you go about adjusting the bid for your ads, you’ll notice that on the right-hand side, suggestions are provided, in terms of how many impressions you’ll achieve, given your current daily budget and bidding settings. Once you’re done here, click on Save Ad group and wait for your ad to be reviewed. Follow all of the steps that we covered in the earlier sections, as there is little difference here. Just make sure you select ‘Bumper ads’ however, when selecting the ad formats. Note: When it comes to Bumper Ads, you’re paying on a CPM basis. That means you’re paying for every 1000 impressions. This is because people can’t skip your ads, and so you don’t necessarily have the option to only pay when people ‘choose’ to watch your ads. In any case, when you’ve set things up in this section, click ‘Save’ and then enter your video URL. Remember the video you use for a Bumper Ad needs to be 6 seconds or shorter. Fill out this section, using the tips mentioned earlier. When it comes to targeting there are two approaches you can take here. The general goal of a Bumper ad, is to build brand awareness, rather than to produce direct sales (though that is possible if your ad is really good at building curiosity and portraying a call to action). Nevertheless, because of there’s less emphasis on generating a direct ROI, there’s a little less pressure to target your ads with high-level precision. As a result, you want want to consider the broader targeting approaches of Interests and Topics – as opposed to Placements or Keywords. 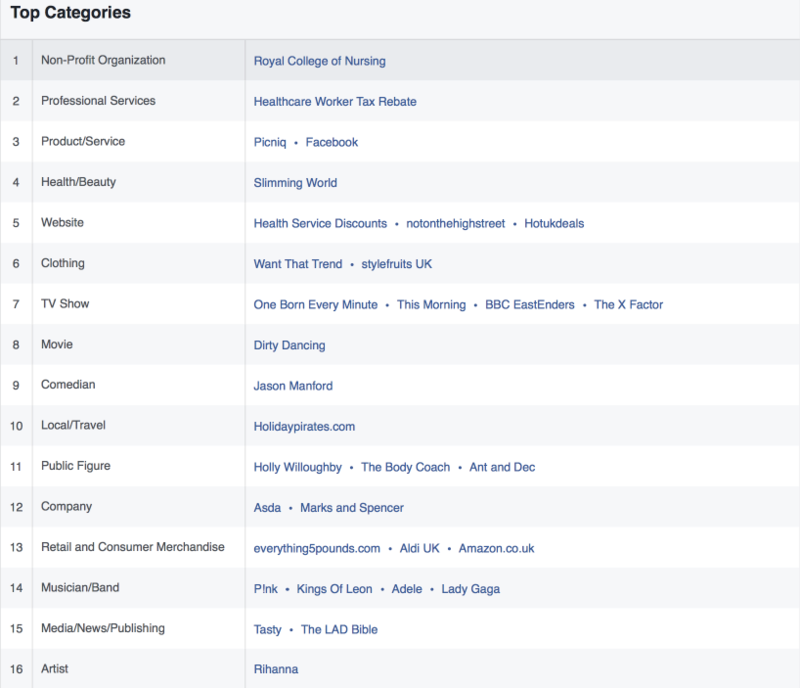 When using Interests or Topics targeting, you may want to simultaneously set up ‘Demographics’ targeting for your ad. This is so that your ads are shown to a subset of people within the Interests and Topics you select, of whom represent your ideal customer. When you target via Interests, there are two audiences that you can work with. Affinity audiences essentially relates to audiences of whom have an interest in a certain topic and would be interested in learning more about the subject. 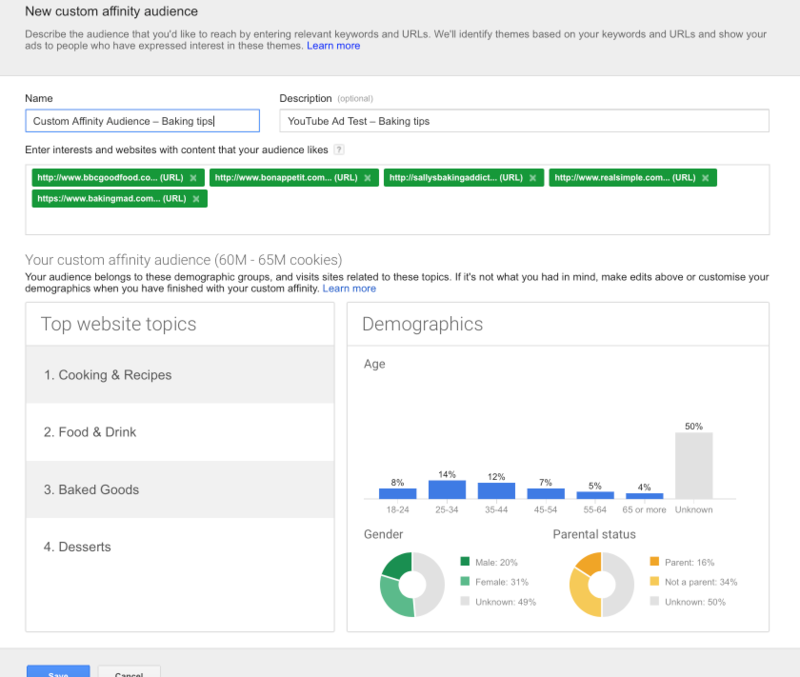 If you can’t find a relevant audience, or you’re worried that Affinity audiences isn’t targeted enough for you, may just want to consider using the ‘Custom affinity audiences’ feature instead. This is where you create an Affinity audience of your own, and can be an incredibly effective way to reach a lot of people, using various angles, whilst still keeping your ads relevant. This is a fairly advanced approach to targeting, and so we’ll take a look at how you can make use of this feature later. The other option is In-market Audiences. This targeting feature helps you to reach people who are actively looking to buy something. There are less options to choose from here, so you might not be able to find an audience that represents your target market. When it comes to bidding, you’ll notice that the ‘Typical’ bids here are higher. As mentioned, that’s because you’re being charged on a CPM basis, so the bid you provide is what you’re going to pay for 1000 views. Click on ‘Save’ and then just wait for your ad to be approved! Once you have some experience with YouTube Advertising, you’ll want to make use of some of the more advanced targeting features on offer. One such feature is Remarketing. 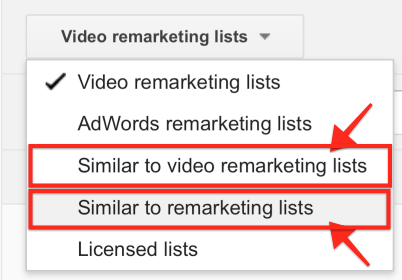 Using remarketing you can show YouTube ads to people who have visited your website, or to those who have interacted with your brand on YouTube in some way. You can also show ads to people who have provided you with their email address, as long as Google can match their email to a Google account. 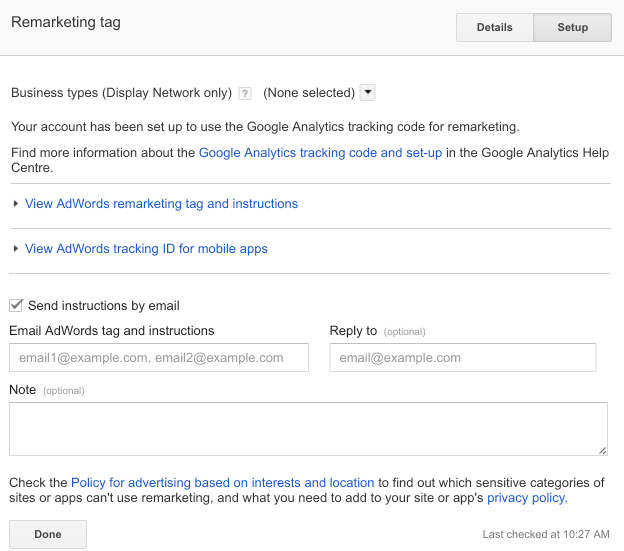 To set up remarketing do the following. 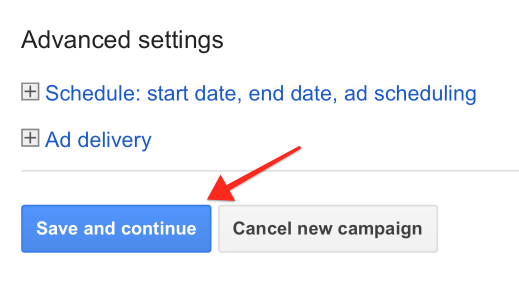 Go to the ‘Campaigns’ section of AdWords and then click on ‘Audiences,’ within the ‘Shared Library’ section. If you want to remarket to people who have visited your website, you’ll need to set up a remarketing tag. You should be notified of this as soon as you hit the Audiences page. You need to install this tag into your website code. If you’re unsure of how to do this, ask a freelance web developer for help. Once the tag is installed, you should shortly see in the Audiences section, whether or not the tag is active. Then select the ‘Website visitors’ option. 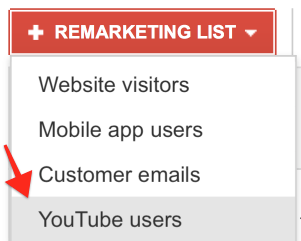 Here you can set the parameters, in terms of who should be added to the remarketing list. If you have a YouTube ad related to a certain product, for example, you might want to create a remarketing list based on people who have viewed that product page on your website. After enough people have visited your website, this list will build in number and you can then target these people on YouTube, by selecting the relevant remarketing list during ad setup. 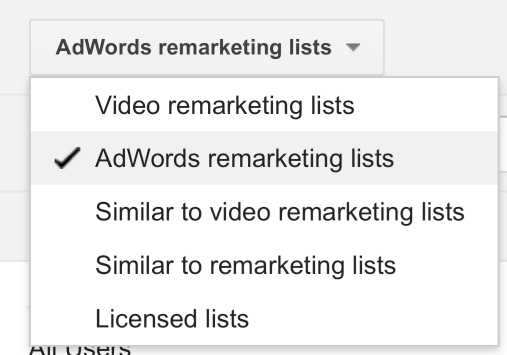 Pick the ‘AdWords remarketing lists’ option. 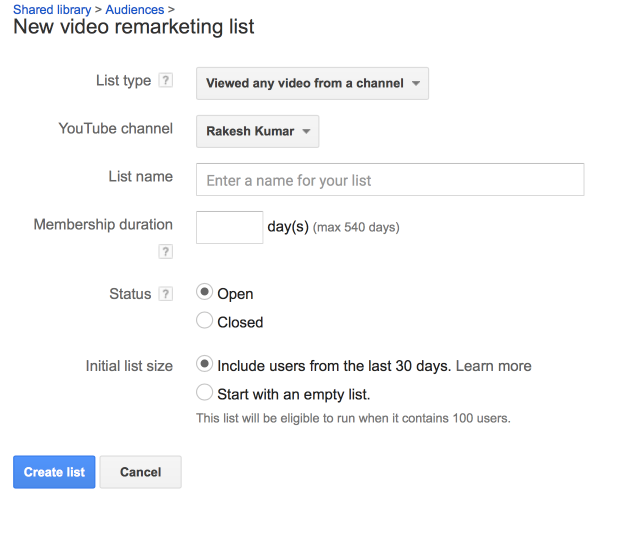 Then select the remarketing list you intend to target on YouTube. Then when your ad is live, it will only show this select group of people, as well as those who will be added to the list in the future. You can also retarget people who have interacted with your brand on YouTube. You can use this approach to persuade people to engage with your brand, even if they didn’t engage the first time they saw your ad. This is possible by creating different ‘styles’ of ads. For instance, the first ad people see might attempt to persuade them by showing them a product demonstration. The remarketing ad, however, might take a different approach. This second ad, might try to convince people with the help of a case study or testimonial. Different people respond to different things, and if you take multiple approaches, you increase the odds of persuading a larger group of people. If you want to remarket to people who’ve interacted with your brand on YouTube, you first need to create a ‘YouTube Users’ list. 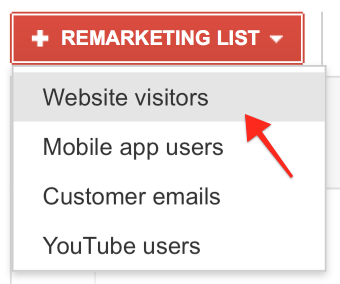 You can do this by clicking on ‘+Remarketing List,’ within the Audiences section. As you can see, there are many parameters to choose from, when deciding how you want to segment out YouTube interactions with your brand. The option you pick, is going to depend on the purposes of your ad. Be sure to give your list a clear name, so that you can easily identify its purpose later on. Membership duration is up to you. You might not want to keep it longer than 30 days, as if people keep on seeing your ad, they might get annoyed and begin to harbor negative emotions towards your brand. Moving on, if you want to target this list, you essentially follow the same steps as before. You’ll then see the list that you created. It’s worth mentioning that you can also target ‘Similar’ lists once you have created Website and YouTube remarketing lists. As the name suggests, this feature will help you target people who are ‘similar’ to the people in lists that you have created beforehand. 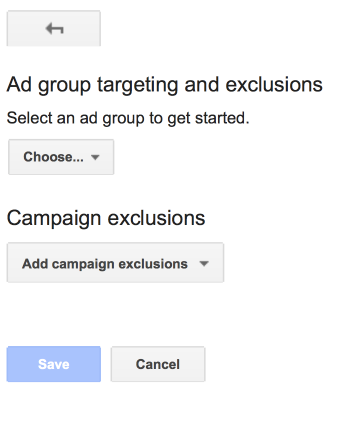 This targeting method can be a good way to want to scale a campaign. You can also target the emails in your customer database. Targeting past customers can be an effective way to market to people who already have experience from buying from you. Because there is an element of trust (as a result of having dealt with your business in the past), it is easier to get these people to engage with your ad and buy from you. 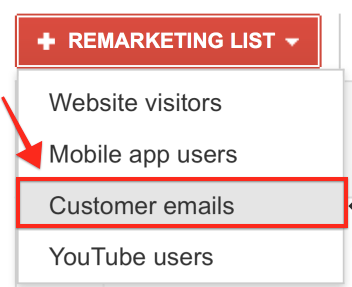 To target people using their email addresses, go the remarketing section, but this time select ‘Customer emails’ when clicking the ‘+Remarketing List’ dropdown menu. You can then upload the list of email addresses. 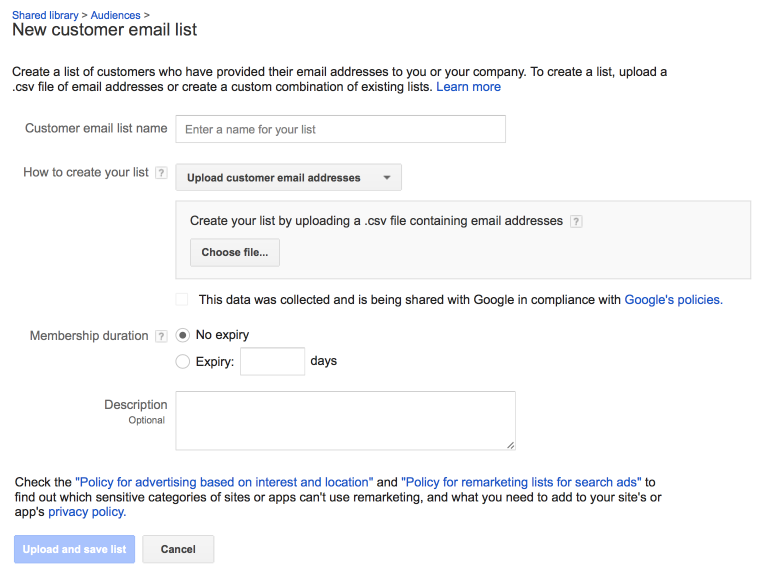 Note: Google will only be able to target the email addresses it can link to a Google Account. 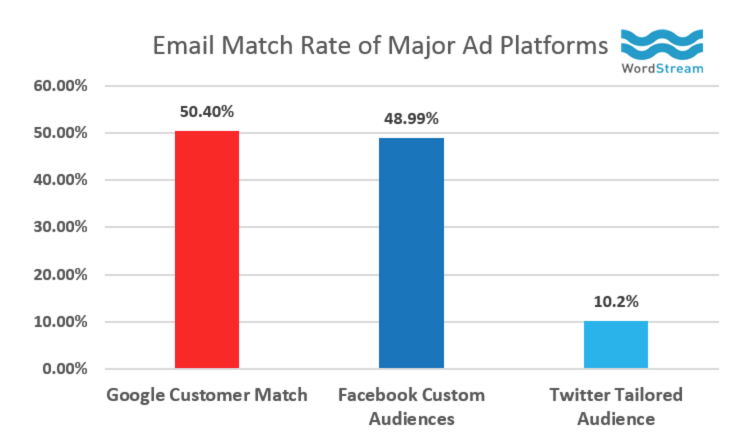 The good news, is that AdWords has been shown to generate higher match rates than even Facebook. This feature can be really powerful in helping you to reach an audience who has an interest in a certain topic. If you do not have one that exists already, consider creating one for the sake of developing a custom affinity audience. Note that, the custom affinity audience you create will be available to other campaigns. Then click the ‘Ad targeting’ menu. Then in the next section you need to provide some URLs that relate to the interest you want to create an affinity audience around. You can now select this audience when adjusting your targeting, by clicking on ‘Edit’ next to the Interests option. 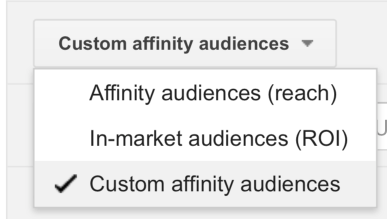 Select ‘Custom affinity audiences’ from the drop down menu. You should then see the audience that you created earlier. Simply click on the ‘double arrow’ if you want to target this audience. 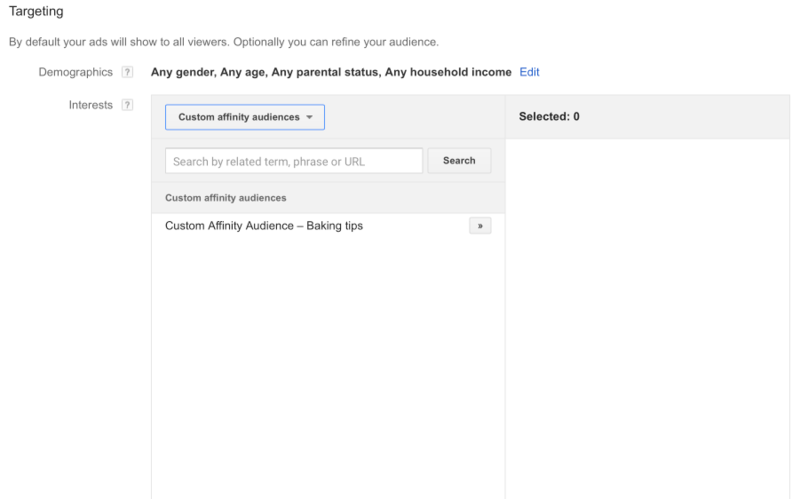 Using this custom affinity audience I can target people who have an interest in baking. Let’s quickly touch on optimizing your ads. You’ll want to do some optimization on your ads, so that you’re not spending money on campaigns that are delivering poor results. To begin with, it can be a good idea to review the ‘View rate’ for each of your targeting methods. View rate lets us know how many people watched/engaged with our ad, compared to how many people were exposed to the ad overall. 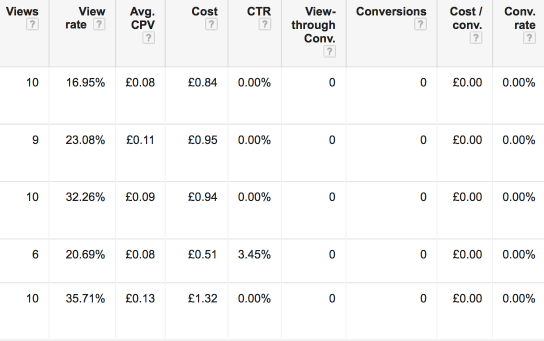 Monitoring View rate will let you know which targeting methods are working and which ones aren’t. It can also be useful to install conversion tracking, so that you can directly identify which targeting methods/which ads are driving the most or the cheapest conversions. If you want to review how effective your targeting methods are, just click on one of your YouTube Ad campaigns and then click on the ‘Video targeting’ tab. As shown above, you’ll then be able to click through the different targeting options. 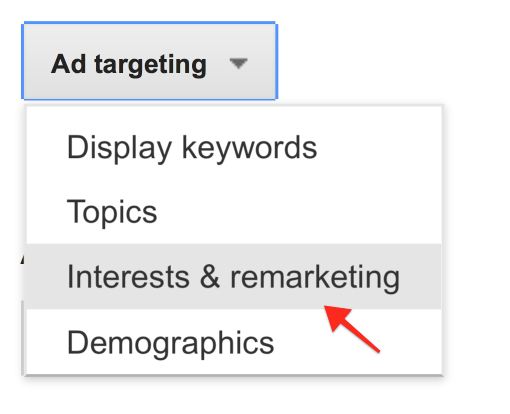 Select the targeting option that you used for the ad in question, and then review the data. If you notice that certain targeting methods are costing a lot, but driving minimal conversions consider cutting them. On the other hand if you notice that certain targeting methods are driving a lot of conversions, at a relatively low cost, then think about putting more money behind them. If you find that your View rate is low, then it might be a sign that either your targeting is off, or your video is not engaging. If your View rate is high, but there is little in the way of conversions, it may be that the video gives away too much information, leaving no curiosity as people feel no need to learn more. It could also be that there is no clear, compelling call to action provided – meaning you need to emphasize in greater detail what people need to do next, if they want to benefit from the results/benefit proposition mentioned in the video. YouTube advertising can be an incredible way to market your business. If you want to get the best results when using the platform, it helps to have an appreciation of how YouTube Ads are different, as well as how the different ad formats work. Knowing how to target your ads effectively is also essential, as failure to do so is going to lead to you generating results that don’t lead to profits. By spending just a little bit per day on the platform you will be able to learn more and more, so that eventually you’ll be able to spend big and, in the process, generate big results too.